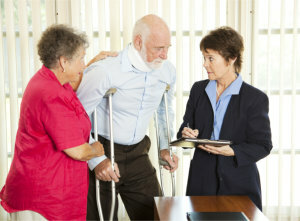 Neurological Medicine, P.A., is a provider for Medicare and most major insurance plans. We provide insurance billing. Anything not covered by your insurance company will be your responsibility. We request payment at the time of your appointment for services that are not covered by your insurance. Your insurance company may also require that you pay a co-pay at the time of your appointment. When necessary, our staff will work closely with patients who require a payment plan. Should you have any questions or concerns regarding billing, you may contact us at (301) 982-7944. Any additional questions regarding your coverage and benefits should be directed towards your employer or insurance company.